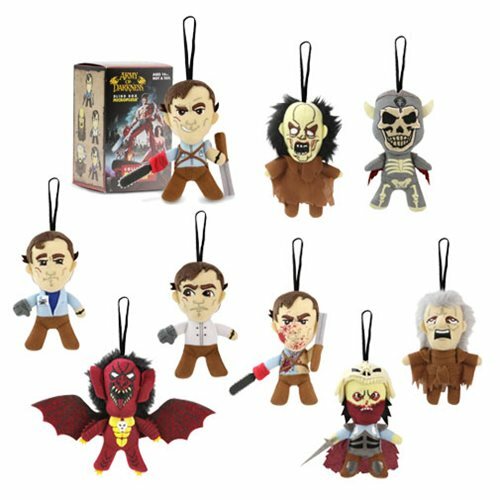 Some of your favorite characters from the classic Army of Darkness movie has been turned into adorable little micro plush! This Army of Darkness Micro Plush Random Blind Box could be one of multiple iterations of Ash, the Pit Monster, the Winged Deadite, and Possessed Witch! Each mini plush features a 2-inch elastic loop for hanging, packaged within blind box packaging.